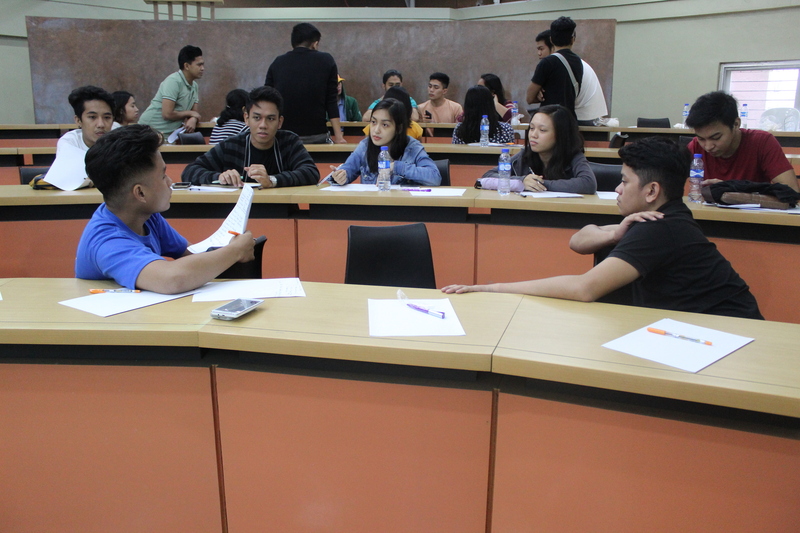 QUEZON CITY— University of the Philippines (UP) CIFAL Philippines hosted a seminar-workshop promoting the 2030 Agenda for Sustainable Development for 48 youth and student leaders on July 25, 2018 at the National College of Public Administration and Governance (NCPAG) Case Room, UP Diliman. Julliano Fernando Guiang, National Convener of the 2030 Youth Force, talked about using the sustainable development goals (SDGs) as a framework for action. Guiang stated that there are three main obstacles to accessing education: poverty, armed conflict and disasters. The National Convener aimed to illustrate the effects of a difference in privileges and stressed the relevance of SDGs in leadership positions. World Youth Alliance Regional Director Mary Imbong discussed the important role humans have on this Earth. Imbong explained that humans are the most valuable resource and concluded that young leaders have the capability to help transform this world. UP CIFAL Philippines’ Jeanena Mae Rafer explained the 17 SDG, while Maria Jorica Pamintuan talked about effective communication of the SDG. Participants were also given the opportunity to do a problem-solving activity through group activities focused on flooding and contractualization. The workshop was organized by the six interns of UP CIFAL Philippines from UP Diliman and Kennesaw State University in Georgia, U.S. and co-presented by the Initiative for Genuine Involvement, Transparency and Empowerment – NCPAG (IGNITE), a student organization in UP. The activity is the first of the Youth Commitment to Action and Multi-Stakeholder Partnerships (CAMP) series, which aims to facilitate collaboration between the youth and other stakeholders to translate SDGs into projects and programs.